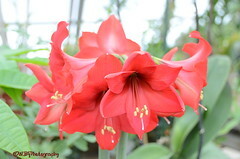 A visit to the City Greenhouse to take some shots of the flowers in bloom. There were not many as this was the first day that the greenhouse was open to the public. There will be more visits in the future as the flowers bloom.